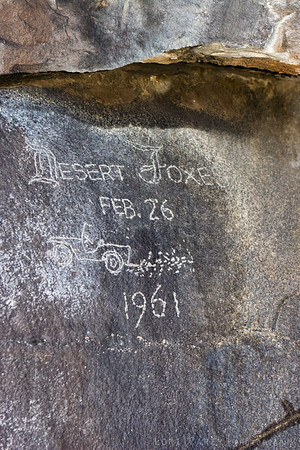 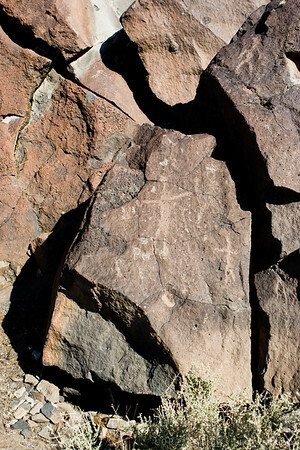 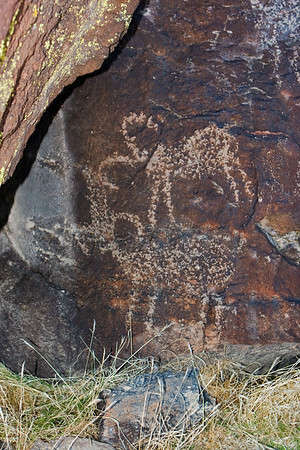 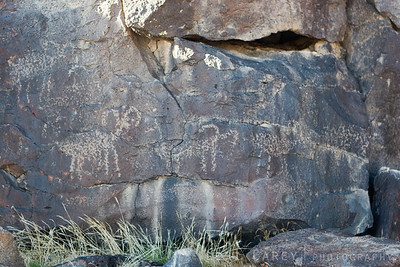 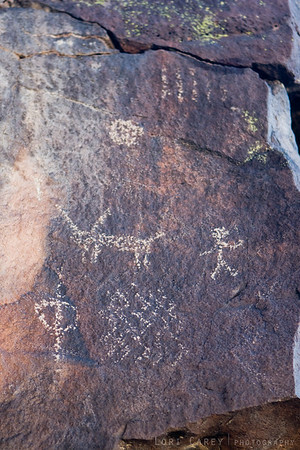 A bit of more current rock art - Desert Foxes, 1961. 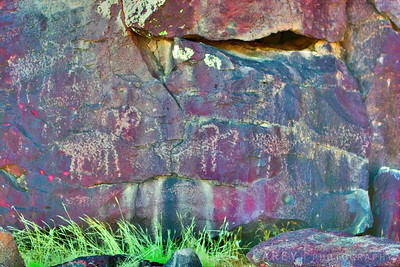 Love that jeep! 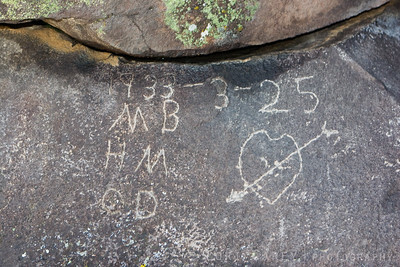 At what age does this cease to be called destructive graffiti, and instead become something of historical significance? 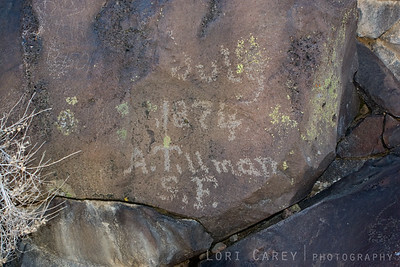 A. Tillman was a teamster who regularly traveled the Black Canyon route during the silver boom of the late 1800's. 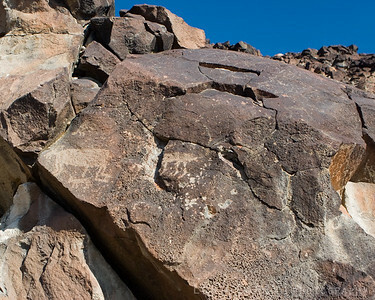 He left his signature in several places throughout this area. 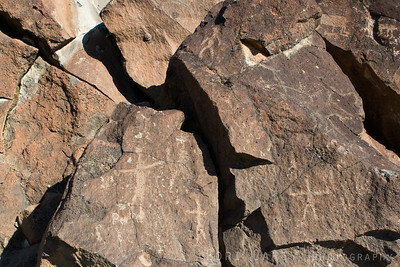 This one is dated July 1874.